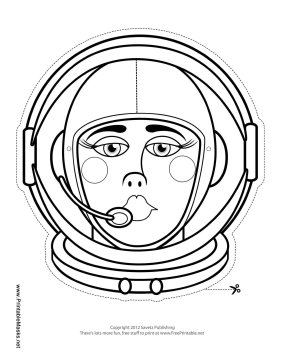 This blank female astronaut mask is ready for you to color in. You can color her astronaut helmet and suit your favorite color, and make her eyes match your own. This mask is free to download and print.